If you’re in need of hosting services, it’s likely that easily managing and monitoring your account is important to you. With cPanel hosting, you’ll have the tools you need to cover all of your bases. From managing your email accounts, to folder and file backups, cPanel allows users to keep tabs on all of their account’s features from an intuitive, easy-to-operate interface. Web or business hosting with the addition of cPanel technology is ideal for virtually any user, especially businesses and resellers.All of the Basic Tools cPanel is designed to simplify server administration, whether it’s for individual or multiple users. Whether you need web hosting services to manage an e-commerce business, or reseller hosting services, cPanel gives customers the opportunity to get the most out of their hosting experience. You can manage your hosting account with ease, as all of the rudimentary administrative tools are included with cPanel. 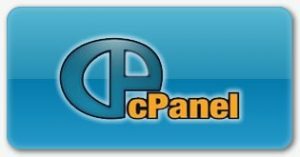 Through cPanel hosting, you’ll be free to control all important aspects of your account, such as: MySQL Database Support & Backups, Management for Unlimited Domains, Email Accounts; File Transfer Protocol and Daily Data BackupsSeamless Compatibility One of the greatest benefits afforded by cPanel is its versatility for web hosting and business hosting. For example, it can be paired with different operating systems, such as CloudLinux, CentOS, and RedHat Enterprise Linux. In addition to OS compatibility, cPanel is easily integrated with a wide range of add-ons and software, including Softaculous, portals, shopping carts, forums, and blogs. Customized applications can also be paired with cPanel, allowing you and/or your customers to streamline and personalize account management even further.Great for Resellers To enjoy success as a dependable reseller, you need the right tools. cPanel is one of the most important additives, as it gives business owners total control over their accounts, as well as their clients’. For aspiring resellers, hosting with the addition of cPanel offers a number of helpful advantages for them and their customers. If you’re building a reseller hosting company from scratch, cPanel can provide not only flexibility, but also:Various Customer Package Options Branding Opportunities Automatic Client Account Creation Email, IM, & SMS Account Alerts & NotificationsContact our team today [email protected] to learn how you can take advantage of our cPanel web hosting for your website.